Mossy Oak Nativ Living and American Heritage Textiles have partnered to bring the beauty of nature into the homes of those whose passion is the outdoors. With that goal in mind, American Heritage Textiles has created a bedding line created for those outdoorsmen. The bedding will be available in April 2019. Based out of Shepherdsville, Kentucky, American Heritage Textiles is an American home goods and textiles company. They are known for producing expertly quilted bedding and home décor under two specific brands, one of which is Donna Sharp, Inc. 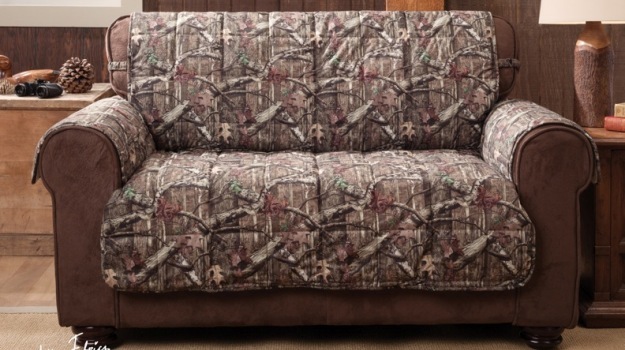 The Mossy Oak Nativ Living bedding line will be produced under the Donna Sharp brand. The Winchester bedding is meant for those who revel in the richness of the earth. The quilt is 100-percent heavyweight cotton and features diamond stitching. Its top cover is a faux-suede patchwork design in varying shades of brown earth tones and the reverse side is a solid cotton backing with a faux-leather appearance. Shams in the Winchester quilt collection are 100-percent cotton with tweed and suede accents. Three decorative pillows are also offered to enhance the beauty of the line. Available sizes include Full/Queen and King. Pieces sold separately. Mossy Oak Nativ Living is a part of the Mossy Oak family of brands and is for those who are drawn to the elements of nature and whose passion for the outdoors is the driving force in their lives. The brand gives outdoors men and women the ability to bring a taste of those elements and colors into their homes, cabins, and lodges. Nativ Living includes a broad range of products including living room, dining room, and bedroom furniture and accessories such as the American Heritage Textiles Donna Sharp brand quilt collections. Mossy Oak understands the drive of hunters and outdoors enthusiasts and knows it isn’t just a passion, it’s an obsession. MSRP varies by product. Product available in April 2019 online at www.donnasharp.com. Mossy Oak Properties of the Heartland is pleased to announce the opening of Mossy Oak Properties of the Heartland-Central Missouri Land & Homes, LLC in Jefferson City, Missouri. 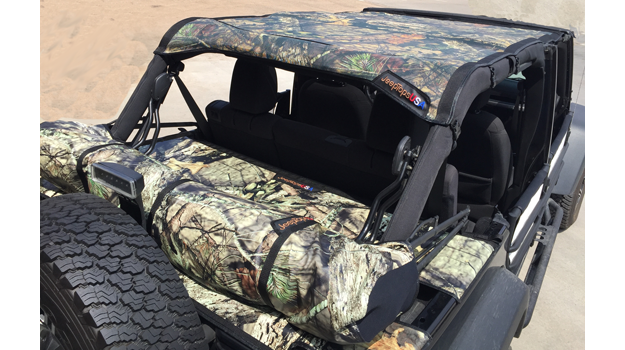 JeepTopsUSA has joined forces with Mossy Oak to offer custom camouflage shade tops, tonneaus, soft top boots, door skins and headliners for Jeep Wranglers. JeepTopsUSA’s products will leave a lasting impression and stand up to the punishments of the environment while making you and your Jeep look good.